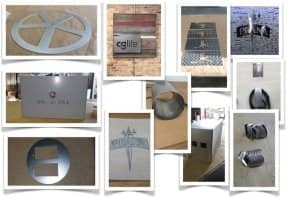 Let's have a quick review of some sheet metal projects our customers asked us to fabricate for them. Next to the 14 shapes of metal you can configure and order online at any time 24/7 you can also inquire about special requests you may have. In both cases we will have a look at your custom metal project and check if we can fulfill your request. If these and a few other things are all positive we then start calculating and send you a free quote. To send you a free quote we need your full billing and shipping address as we would like to inform you about what the your custom made metal part would cost you for shipping as well. Once your receive our free quote you can order the custom metal part on our website - just follow the instructions given at the time. But don't forget we offer you already 14 different shapes of sheet metal which you can configure online in 4 simple steps. Select the metal, the thickness and the finish and define the shapes requested measurements. 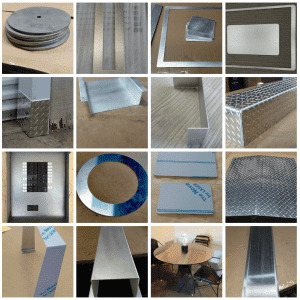 All shapes are offered in Aluminum sheet metal, Stainless Steel sheet metal and mild (carbon) steel sheet metal, offered in different thicknesses and finishes. Try it - it is so easy!